Since its inception in 1994, Checkmate has been providing complete payroll solutions to local New England businesses. Throughout those years we have expanded our business which has resulted in the need for us to complete tax filings for clients in over 40 states; we upgraded our technology platform to Checkmate HCM from Kronos to provide a single-solution for time and attendance, HRIS Software, and more recently ACA tracking and reporting in addition to our payroll services; and we have extended our partnerships and affiliations. One thing; however, has never changed and it is the factor we attribute most to our continued success. At Checkmate, you will never be an account number, period. 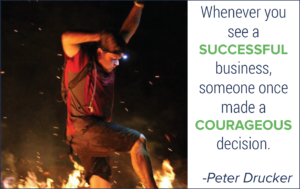 Our clients are assigned to a dedicated Client Account Manager who will work with you each payroll period to ensure it is processed accurately and on time and serve your company’s unique needs…even if we need to jump through fire to get things done. Checkmate’s Vision is to create a world where our clients are better able to realize their missions, by providing them with efficient workforce management solutions, supported by a motivated and engaged team of professionals. Offer clients efficient and intuitive workforce management technology. Provide accurate and timely payroll and payroll tax management services. Operate a Profitable and growing business. Educate clients on payroll, HR and labor law news and compliance guidelines. Manage relationships with clients, partners and vendors with the highest level of customer service, ethics and integrity. Create a workplace that allows employees to grow professionally and personally in an environment that promotes trust and respect. Conduct business with high regard for minimizing our impact on the environment. Give back to our community through corporate support for local organizations and encouraging volunteerism among our employees.